BORONGAN CITY, Eastern Samar – Amid criticisms at the plan of the Department of Budget and Management (DBM) to buy and replace the 30-year old Presidential plane, some members of the House of Representatives have expressed otherwise. Congressman Ben P. Evardone of the Lone District of Eastern Samar said that the plan is a good idea and in fact long overdue. “I think DBM’s plan to purchase a brand new Presidential plane is a good idea, it is even long overdue”, Congressman Evardone said. “It will be more cost-effective and most importantly the safety of our President is not compromised,” he added. Other Congressmen joined Evardone’s opinion: Congressmen Roy Loyola of Cavite, Cesar Sarmiento of Catanduanes and Alvee Benitez were all one in saying that there is nothing wrong in buying a new Presidential plane because the safety of the President must also be ensured. According to them, they just have to make sure that the procurement process is transparent. Early in the news yesterday, Budget Secretary Florencio Abad said the plane is too old and the President “cannot be renting planes all the time” and also added that “officials are already cautious about taking the old plane”. The report revealed further that the present Presidential plane was bought in 1979 yet, by then Central Bank of the Philippines suppose to be used by the late former President Ferdinand Marcos. “It was delivered to the Philippines in September 1980. Its ownership was transferred from the Central Bank to the Office of the President on Dec. 26, 1995”. It added that the plane which had had a total flying time of 5,525 hours as of March 11, 2011, was eventually donated to the Philippine Air Force in May 2006. The plane’s last mandatory inspection was a “D” check, also known as a heavy maintenance visit which was done in Indonesia in 2009, the report further said. TACLOBAN CITY – The Department of Health in Eastern Visayas is set to conduct the first round of deworming of Grades 1-6 school children this month of January, Director Edgardo Gonzaga informed. Director Gonzaga said that the DOH team will go around the Region to oversee the first round of deworming of school children. He said that for this endeavor, the Department of Education is its implementing partner. Director Gonzaga informed that instead of focusing only on child survival intervention of preschoolers, 0-5 years old, the newly designed Garantisadong Pambata program has expanded to providing service and information on health, nutrition, and environment for newborn babies up to 14 years old children. 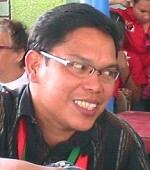 This essential health package, Director Gonzaga said, includes the promotion of exclusive breastfeeding for six months; providing routine immunization among infants; giving vitamin A supplement and de-worming tablet every six months; education on proper hand washing with soap and water; brushing of teeth regularly; using the toilet properly; and keeping homes tobacco smoke-free. The new design of the program aims to make Garantisadong Pambata as a way of life, Director Gonzaga stressed. Anything that will ensure that children are healthy and living in a safe environment is GP, the good DOH Director added. Under the new GP good health of children is a critical foundation for a healthy adulthood. Director Gonzaga said that instead of confining child health services in health facilities, the new GP now involves non-tradition community outlets like day care centers, schools and workplaces. The GP program targets 100% of children aged 1-5 years old and those aged 6-12 years old enrolled in public elementary schools to receive de-worming tablets every six months to reduce prevalence of parasitism in these aged groups. TACLOBAN CITY – With the recent deployment of ten young medical graduates to ten doctor-less municipalities, only three municipalities in Eastern Visayas remain as doctor-less LGUs, the Department of Health informed. DOH-8 Director Edgardo Gonzaga identified the three doctor-less municipalities as Santo Niño, Jiabong and Tagapul-an, all in the province of Samar. Director Gonzaga expressed hope that in the next deployment, these three municipalities will be included. He recalled that in 2009, there were 15 doctor-less municipalities in the Region. So he is happy that after two years, only three local government units are without doctors. The DOH Director said that due to the absence of doctors in rural communities, indigent patients have to travel long hours to seek medical attention from clinical specialists in provincial or city centers. Director Gonzaga said that in order to qualify as a doctor-less municipality, the LGU must have been without doctor for at least five years. The thrust of the DTTB Program is to provide medical care by deploying competent, dedicated doctors twice a year to far-flung areas that needed them most. These areas were typically underdeveloped and economically challenged municipalities described as isolated, depressed, and hard to reach. Doctors are expected to render two years of service in the municipalities where they have been deployed. These Doctors to the Barrios receive about P28,000 (US$995.231) a month in salaries and other benefits. They serve the municipality for two years. Several of them however, remain in the municipalities because they get married to a local. A few have been taken in by the local government units (LGU) as their municipal health officers. The Department of Health pay for the salaries of the Doctor but on the third year, the doctor and the Department of Health negotiates with the municipality to take in the doctor as the regular municipal health officer paid by the LGU. MAASIN CITY, Southern Leyte – Coaches and trainers from other school divisions in Region 8 who smoke tobacco or cigarettes better be warned: they should kick the habit – at least while living in this city for the week-long duration of the Eastern Visayas Regional Athletic Association (EVRAA) January 29 - February 4, 2012. This was made clear by Fernando Salapi, Sports Coordinator of the City Schools Division, Department of Education (DepEd). Aside from smoking, adult participants of the regional sports meet are also not allowed to be seen in public drinking alcoholic drinks, saying that sports requires discipline, Salapi said during the cable TV program “Action Center” yesterday. The strict regimen to preserve one’s health was in line with the theme for this year’s EVRAA, which is “School Sports: Foundation to a Healthy Lifestyle”, he added. Salapi said the ages of participating officials was limited at 55 and below as a matter of policy, to prevent any untoward incident with regards to the health of these delegates. During the first EVRAA in the city in 2005, one of the officials ended as a fatality after the opening parade, an incident the organizers do not want repeated. 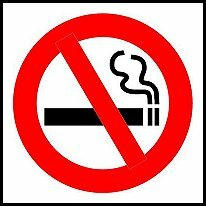 It was learned that some players, coaches and trainers, or staff of visiting delegations do smoke, but once in the city they will be forbidden under pain of being penalized once caught smoking in public places. The city local government did not tolerate smoking habits by visitors during their stay for certain events, like boy scouts on a jamboree, or any other gathering. City enforcers and Police personnel were seen issuing citation tickets to strangers who violated the city’s anti-smoking ordinance. Meanwhile, Salapi also said that officiating officials for this year’s EVRAA will undergo a refresher course from January 25 to 28 so that they will be updated on current rules and regulations, including some policies that must be followed as the games progress. Non-attendance to this four-day course will disqualify an official to officiate in the games, Salapi added. MANILA – The Philippine LGBT Hate Crime Watch (PLHCW) condemned the brutal and homophobia-fueled attack on a gay teener in Northern Philippines. The group is demanding justice for 19-year old Edmund Padilla who suffered burns and blisters after his drunken father Erano scalded him with boiling water. The PLHCW also demanded Congress to hold the hearings that would investigate motive-driven crimes based on the perceived sexual orientation and gender identity of the victims to prevent future repeats of the barbaric crime, according to Reighben Labilles, spokesperson of the PLHCW. The elder Padilla told police that he committed the crime because of his pent-up feelings against three of his children turning out to be gay. He is now detained and charged with physical injuries on the instigation of the victim. In 2010, the Gabriela Women's Partylist passed a House resolution calling for a formal inquiry on the origins and effects of hate crimes committed against lesbian, gay, bisexual, and transgender (LGBT) on the prodding of the hate crime watchers group. Congress has yet to act on the resolution. "We plead to the government to initiate pro-active programs that provides parents and LGBT children the opportunities to promote freedom of expression of sexuality and gender. In a free society, the parents should respect the rights of their LGBT and stop altogether corporal punishment. We are born this way and you cannot punish us to change our sexuality," Labilles said. "Since Edmund Padilla is already 19 years old, he may no longer be covered by the UN Convention on the Rights of the Child and our national child protection laws, yet we fear that so many violent acts perpetrated by parents and legal guardians against their LGBT children go unreported. It is so urgent for Congress to find ways to protect sons and daughters of whatever age from family-based violence and the Convention is a good place to start," Labilles said. Article 19 of the Convention declares: States Parties shall take all appropriate legislative, administrative, social and educational measures to protect the child from all forms of physical or mental violence, injury or abuse, neglect or negligent treatment, maltreatment or exploitation, including sexual abuse, while in the care of parents, legal guardians or any other person who has the care of the child. 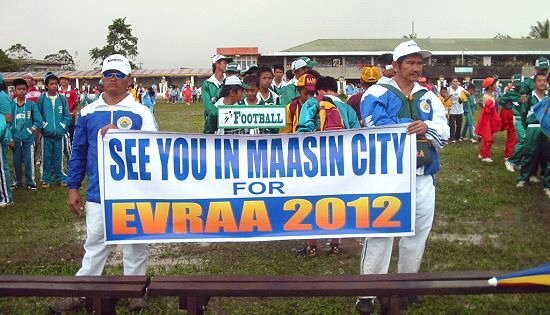 MAASIN CITY, Southern Leyte – With just twenty-four days to go, this city has been all set for action for the week-long Eastern Visayas Regional Athletic Association (EVRAA) sports competition, scheduled to be held here January 29 to February 4. Everything has been laid out for the accommodations, from the billeting quarters of athletic delegates and officials to sports venues and other physical facilities, said Dominador Rojas, City Sports Coordinator. Both Rojas and Salapi were the guests during this year’s maiden edition of the cable TV program “Action Center” this morning. Rojas said the only problem he foresaw was the weather, if it keeps on raining as the games went on, suggesting that playing venues must have alternate sites to counter the ever changing climate. Games such as volleyball and basketball that are set to be played in the open arena at the provincial sports complex, or at the Tomas Oppus Pilot School (TOPS) oval, will be transferred to covered gyms when it rains, and for this purpose all the barangay gyms in the city may be used, said Rojas. This year’s EVRAA carries the theme, “School Sports: Foundation to a Healthy Lifestyle”, a message that jibes well with the city’s no-smoking policy, which will be strictly implemented as the games unfold, Salapi said. PASAY CITY – Senator Pia S. Cayetano is set to file a bill imposing stricter regulations on firecrackers and pyrotechnics, including prohibiting their use by private individuals, as she cited the hazards that these devices pose to human health, the environment and air transportation safety during the annual New Year revelry. Cayetano, Chairperson of the Senate Committee on Health and Demography, said her bill seeks to amend Republic Act No.7183, also known as ‘An Act Regulating the Sale, Manufacture, Distribution and Use of Firecrackers and other Pyrotechnic Devices,’ by allowing only local government unit-sponsored fireworks and pyrotechnic displays. The bill also seeks to prevent the practice of some manufacturers who circumvent the law simply by renaming or re-branding their banned firecrackers. Aside from the list of banned firecrackers already enumerated under RA 7183, Cayetano’s bill also proposes to set standards on maximum allowable amount of gunpowder as basis for banning certain types of firecrackers not necessarily included in the banned list as determined by DTI. “It’s time we put an end to this vicious cycle of unnecessary deaths and debilitating injuries that greet us every New Year caused by firecrackers and fireworks. What’s really disheartening is that most of the victims of firecracker blasts every year are minors, including very young children,” Cayetano lamented. Cayetano noted that as of the latest count of the Department of Health (DOH), the number of firecracker and stray bullet-related injuries has already reached 949. The figure could rise further as reports from DOH’s 50 sentinel hospitals nationwide continue to come in. TACLOBAN CITY – A decline was observed on the average cost per square meter both for commercial and non-commercial building construction during the second quarter in 2011 compared to the same period in 2010, the Leyte Provincial Statistics Office report said. For commercial building construction, the average cost was pegged at P5,764 per square meter or a decline of 17.9 percent compared to P7,017 area cost of construction during the same quarter in 2010. The value of construction for commercial buildings totaled to P80.3 million with a total floor area of 13.9 thousand square meters. Applications for the construction of stores had the biggest share recorded at 55 percent out of the total applications for the construction of commercial buildings while the applications for the construction of condominium/office building/banks/motel/ and other types of commercial buildings comprised the remaining 45 percent. For non-residential building construction, the average cost was P6,031 per square meter which posted a drop of 13 percent from P6,935 per square meter during the second quarter of 2010. The total value for the construction of non-residential building was estimated at P117.4 million during the reference period with a total floor area of 19.5 thousand square meters. Construction of commercial buildings topped all other types of non-residential building construction at 55.6 percent followed by the construction of institutional, agricultural and other non-residential buildings at 30.5 percent while industrial building construction shared 13.9 percent. On the other hand, the average cost of construction of residential building amounted to P7,503 per square meter or a slight increment of 2.3 percent from P7,336 during the same quarter in 2010. Estimated amount for the construction of residential buildings reached P180.1 million with a total floor area of 24 thousand square meters. Residential building is a building for which its major parts or more than half of its gross floor area is built for dwelling purposes with type such as single, duplex, apartment and/or accessoria and residential condominium while types of non-residential building includes commercial, industrial, agricultural and institutional buildings. CATBALOGAN CITY, Samar – The Department of Education (DepED) is courting the barangays for its needed support in education. Claire Menda, Information Officer of DepEd Samar thinks that this is an idea to ‘solidify’ the school and barangay. “We train our school heads, teachers and barangay officials together to make sure that they have a common understanding of what we envision to achieve,” Menda said. Presently, the barangay officials are aware that DepEd is facing challenges especially on the holding power of the schools over the children. “This is one of the three big goals that DepEd needs to achieve, one is to see to it that all school-age children are in school, next is to make sure that those in school, stay until the last day in school and those who are in school get quality education,” the DepEd official said. She mentioned that barangay officials are not only involved during the ‘Brigada Eskwela” when communities forge alliances to prepare schools during the opening but also to help the schools weld that ‘holding power’ for students. DepEd seeks to unite a grand alliance among government organizations, families and individuals in meeting the basic learning needs of all children. During education summits that are periodically held, the barangays especially those in remote areas appeal to teachers to minimize their absences so that school children become inspired always to report to school. “We can not always monitor them, the barangays help us do that,” Menda said. The teachers in turn renew their commitment to hold classes the whole five days, Menda said. The barangays keep an eye on the schools, make sure that classes are held regularly and in turn extend affordable support to their activities. “In whatever form, the barangays can help us maintain that ‘holding power’ in our classrooms,” the DepEd official said. MAASIN CITY, Southern Leyte – In preparation for the coming Feast day of Senior Sto. Niño, Maasin City Tourism Office is now preparing for the Sakay-Sakay Festival this coming January 15, 2012. 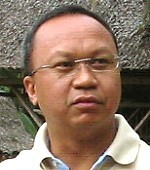 City Tourism Officer Royenno Segovia in his report over radio station DyDM Tuesday said that the activity will feature “sakay-sakay” festival, an open competition with 5 categories to consider for judging, such as the Bangka Category, Icon category, Pump boat category, the Street dancing and the Higante category. He said that prizes for the competition were allocated by the city government, “though voluntary support are also coming in” from different individuals and organizations to assist the said activity. Prizes are as follows: Bangka category - P25,000 (1st prize), P15,000 (2nd prize), P10,000 (3rd prize) and a consolation of P5,000 each for the 1st 3 non-winners; Icon category - P10,000 (1st), P7,000 (2nd), P5,000 (3rd) and consolation of P1,500 for the 1st 10 non-winners; Higante category - P8,000 (1st), P5,000 (2nd), P3,000 (3rd) and P1,500 consolation prizes for the 1st 5 non-winners; and the Pumpboat category with P10,000 for the 1st prize, P7,000 for 2nd, P5,000 for the 3rd and consolation prizes of P2,000 each for the first 8 non-winners. While the Street Dancing that was previously merged with the Icon category is now separated with P30,000 as 1st prize, P20,000 (2nd), P10,000 (3rd) and P5,000 consolation prizes for the 1st 3 non-winners, the report added. Segovia said that the competition is open to any group who wish to participate, though as of press time official entry has not yet confirmed, “the working committee will still meet on Friday, January 6, and hopefully official entries will come in,” he divulged. The route and judges of the competition will also be discussed during the meeting for the finalization of the said activity. ”Hopefully, this activity will draw visitors as one of the religious tourist attractions in Maasin City and the city government is planning to raise the prizes to attract more participants,” Segovia disclosed.